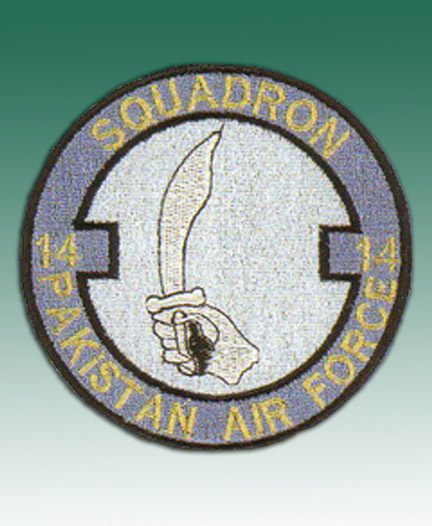 From the IAF’s standpoint, the proceedings of 4 December have been succinctly summed up by the then OC of Gauhati-based No 28 Squadron (MiG-21), Wg Cdr B K Bishnoi, when he states that, “perhaps we were achieving little except for harassing the Pakistanis.” He goes on to say that it was difficult to pick out aircraft in camouflaged shelters and then destroy them. He had suggested to the Eastern Air Command, “to make the runways unusable, thus grounding the enemy aircraft.” The decision to that effect seemed like an afterthought when it came on the evening of 5 December. Apparently it was not the foremost priority in the minds of IAF planners, as one can glean from Bishnoi’s lament. While the IAF mulled new tactics, attacks against Tezgaon fell down considerably on 5 December, which is also evident from an absence of aerial engagements on that day. Both air forces mostly concentrated on providing air support to ground troops, though the IAF flew a couple of missions against Tezgaon, including one involving a napalm attack against AAA gun positions. On the morning of 6 December, an air sweep mission of four F-86s, led by Sqn Ldr Dilawar, was sent up to ward off air attacks against the desperately cornered Pakistani ground troops in Comilla Sector, south-east of Dacca. The F-86s encountered four Hunters, of which one was claimed as downed by the wingman Flg Off Shamshad, though confirmation has been hard to come by. The inevitable attack on Tezgaon runway came shortly after the F-86s had landed at 1000 hrs. A formation of four MiG-21s led by Bishnoi, was able to place eight 500-kg bombs along its entire length, in an accurately delivered dive attack. The runway was hastily patched up by PAF’s diligent repair teams, but their efforts came to nought when a mid-day raid by Bishnoi’s team neutralised the runway yet again. Just to be sure that a desperate 14 Squadron might not move its assets by road to nearby Kurmitola, it too was administered the same treatment as Tezgaon. The night of 6 December saw virtually all personnel of Dacca Base put in their efforts at repairing Tezgaon runway. They were successful in preparing a stretch of about half the length and width of the standard runway, which was considered sufficient for F-86s to take-off in an air defence configuration. “The squadron crew was very excited and kept waiting for the first light to get airborne and challenge the enemy one more time,” recalls retired Air Marshal Dilawar. At first light of 7 December, as 14 Squadron pilots were going to the Air Defence Alert hut, they saw a MiG-21 pulling up for an attack. Well-placed bombs resulted in bisection of the repaired stretch into two unusable halves. Dilawar says that when he went to the runway to inspect the state of damage, tears rolled down his cheeks. “The fate of East Pakistan has been decided,” he muttered to himself, sentimentally. With air operations all but over for No 14 Squadron, the COC at Rawalpindi decided to put the aircrew to good use on the Western Front, where the war was in full fury. Early at 0300 hrs on 8 December, eight pilots and several other personnel who were considered indispensable to the war effort, were seen off by the AOC East Pakistan as they boarded PIA’s lone surviving Twin Otter. [i] Bravely piloted by the airline’s Captain Larry Pinto, the aircraft did a dangerous take-off from a 3,600-ft long, looping taxi track that was actually bent by 10° in three segments. The aircraft’s destination was Akyab (now known as Sittwe), a manned airfield in Burma, about 300 miles SSE of Dacca. It was surmised that the Burmese government would not be unduly obdurate in allowing a safe passage to the Pakistanis, who were at least putting up a pretence of being civilians faced with one or the other exigency of dire nature. At daybreak, Sqn Ldr Dilawar who had stayed back, broke the news to the three remaining pilots of No 14 Squadron about the early morning exodus on-board the Twin Otter. Dilawar explained that in the event of Tezgaon runway being repaired by the Army Engineers and the MES, there was a need for some pilots to stay back for one last round. Perhaps, the brash victory roll by a MiG-21, a day after the runway was neutralised, was weighing too heavily on the authorities’ minds and it was thought that a retort might be curative. Before Ata, Schames and Shams could ask, “why us?” Dilawar came up with a bizarre reason, which could have been intensely funny if it wasn’t wartime: all of them had dark complexions, and would be able to blend in with the locals while an escape plan was engineered, after the aerial deed was done! Mercifully, the imprudence of the plan showed through in no time, and it was decided that the four pilots who remained would also leave the following day. The AOC was again at the taxi-track at 0300 hrs next morning to see off the four pilots who were to fly off to Akyab, this time in a DHC-2 Beaver aircraft belonging to the Plant Protection Department. With the department’s senior pilot by the name of Zafar in the captain’s seat, Sqn Ldr Dilawar sitting as the co-pilot, and the three other pilots in the rear, the yellow Beaver took off shakily in the darkness. The curved taxi track, which was faintly lit up by airmen with hand-held torches, complicated matters for Zafar, who was not even qualified to fly at night from astraight runway. After lift-off, the Beaver narrowly missed ramming into the ATC building, which prompted Dilawar to take over the controls for the rest of the flight. After flying low over Chittagong Hill Tracts, the Beaver entered Burmese airspace, at which stage the pistols, ID cards and other papers were tossed overboard as the PAF officers were putting up a charade of being civilians. After a flight of two-and-a-half hours, Dilawar called up Akyab for a landing clearance, which was denied. Nonetheless, the Beaver forced its way onto the airfield. As the Beaver taxied to the parking area, a welcome sight of the PIA Twin Otter that had arrived the previous day, greeted them. Troops from the Burmese Army surrounded the aircraft, and its occupants were herded away to a large thatched cottage for some mild interrogation. After a week of internment in the same cottage, all Pakistani personnel were smuggled out by the Pakistani Embassy in Rangoon, in obvious collusion with the Burmese authorities. From Rangoon, they had an uneventful journey to Karachi via Bangkok and London. 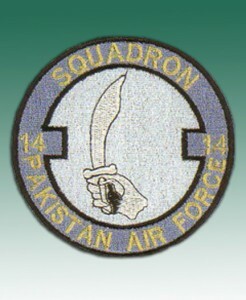 Unfortunately, by the time the PAF aircrew reached their squadrons, the war had been over for many days. When it was all over on 16 December, the AOC directed his staff to implement what is known as the Denial Plan, ie destruction of assets so as to deny them from falling into enemy hands. Of the sixteen F-86s at the start of war, eleven remained, besides one T-33 and one RT-33, so these were earmarked for demolition by explosives at the last moment. In the event, Indian troops had moved into Dacca city and the air base was surrounded by hordes of trigger-happy Mukti Bahini. Any explosions in that tense situation were likely to result in retaliation of grave consequences. It was, therefore, decided to damage them with hammers, crowbars, etc. That a few of the F-86s (possibly five) were recovered by the newly-formed Bangladesh Air Force and, actually flown in the new colours for about two years, has generated some criticism about the rationale behind the delay in their destruction. It appears that there was hesitation in destroying them earlier due to sensitivities about the morale of airmen, who had been working most diligently on these very aircraft to keep them airworthy. Of the two Alouette-III helicopters of PAF’s Resuce Squadron at Dacca, one had been damaged by small arms fire before the outbreak of hostilities, so it was left behind in an unserviceable state. The remaining helicopter managed to take-off for Akyab well before dawn on 16 December, with Sqn Ldr Sultan Khan and Flt Lt Rasheed Janjua at the controls. It was part of Pak Army Aviation’s staggered aerial convoy that included its three Mi-8 helicopters, one Alouette-III helicopter and, three Beavers of the Plant Protection Department seconded to the Army. (Two more of Army’s Alouette-III helicopters flew out of Dacca later in the afternoon). All of these assets were later retrieved from Burma. [i] Besides the aircrew, there were 123 passengers, mostly women and children, all of whom made it back from Rangoon to Karachi via Colombo, in a PIA aircraft. As an aside, despite a lapse of over four decades, Pakistan owes a robust acknowledgement to the Myanmar government for the help provided in the most difficult circumstances. No 4071 Squadron’s AR-1 radar located on the northern outskirts of Dacca, was PAF’s only high value asset that was destroyed as per plan. With the PAF having lasted a mere 52 hours after opening of full-scale hostilities in East Pakistan, the Army was left to fend for itself without air cover. Wearied for the past eight months in the counter-insurgency role, and much bloodied since the Indian intrusion on 20/21 November, Lt Gen A A K Niazi’s Eastern Command troops had been falling back, quite literally, from a forward posture, to a last stand for Dacca. 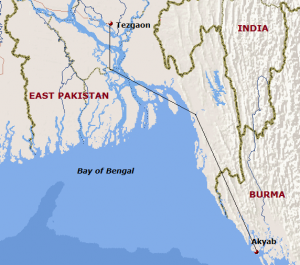 In line with the government’s objective of preventing loss of any territory on which Bangladesh could be proclaimed – unrealistic as it was – the thinned out Eastern Garrison had been defending the 2,500 miles of land border with India. Niazi’s plan had the tacit approval of the General Staff at GHQ, which had looked at the complex situation from beyond a purely operational standpoint. Not withstanding the tactical merits or demerits of the plan, it can be argued that it unwittingly minimised the vulnerability of the sparsely deployed troops to enemy air attacks. Massed formations required for the fortress defence of Dacca, on the other hand, would have been far more dangerously exposed to attacks from the air. Badly outnumbered in men and material, fighting in the midst of a hostile population that was constantly betraying their locations to the Indians and, with a completely broken down communications and logistics infrastructure, the Eastern Command managed to hold out for a remarkable 26 days. Any chance of a last stand for Dacca was, however, rendered worthless when staggering territorial losses at the edge of core areas of West Pakistan had started to threaten the very existence of the country. Under the calamitous circumstances, it fell to the lot of the unfortunate Niazi to have to accept a cease-fire under dishonourable terms and, to unconditionally surrender all Pakistan Armed Forces in East Pakistan (consisting of 45,000 uniformed personnel, including 11,000 paramilitary forces and police) to the ‘GOC-in-C of Indian and Bangla Desh (sic) Forces in Eastern Theatre’ on 16 December 1971. The PAF in East Pakistan did not have the wherewithal to be of any consequence in a full-scale war, and it came as no surprise that it was grounded within two days, despite the heroic performance in aerial battles while it lasted. It had already outlived its utility when the war morphed from counter-insurgency against Mukti Bahini, to a full-scale Indian invasion with regular troops, mightily supported from the air. The effort put in by No 14 Squadron, with sterling support from No 4071 Radar Squadron, can however, be looked at from an academic viewpoint as a classic performance in a fight against odds. Despite the looming futility of the exercise, there was no lack of grit and determination, with everyone contributing to the best of his professional ability. At least three enemy aircraft (and possibly four) were downed by No 14 Squadron pilots on the first day. Complementing the kills by fighters, batteries of Pak Army’s 6 Light Anti-Aircraft Regiment deployed in various sectors, shot down ten enemy aircraft between 4-16 December. Against a loss of five aircraft, the PAF and the AAA element together destroyed almost three times as many Indian aircraft; this was an impressive exchange from an air defender’s standpoint, though it could do nothing to prevent the secession of East Pakistan.